I believe an increase in foreign travelers to our country can revitalize our economy. Japan has many tourist attractions to offer. When I lived outside the country, I realized that only by inviting people to Japan, we can make them see the wonderful things we have here. This was the reason I chose to pursue a career in travel business. When I studied abroad, I was surprised to find out how much my classmates were proud of their countries. I felt we Japanese should be more proud of our country. Japanese cars, electronics and cartoons are famous throughout the world, but there are still some people who think samurais and geishas are walking in our streets. There are still some countries that know about us only through TV and movies. Inviting people to Japan is the only way to make them see what Japan really is.This is why I decided to work in the travel industry after I graduated from an American business school. With what I learned and experienced abroad, I believed I could make a difference in this profession. Although a lot of travel information is available in Japan, there is a serious lack of details in the information available to foreigners and such information is often out of date. Japan is still inaccessible to foreign travelers if they feel uncomfortable about traveling in our country. I believe that Japan can be more accessible to them if we provide them with more information at hotels and tourist information centers. Today the young Japanese are more and more interested in going abroad. In fact, I was like them once when I was in their age. There will always be enough information about foreign countries available, so this tendency isn't going to change. On the other hand, people say that young people outside our country are more interested in our culture than our young people or that they think we still have something interesting. I think what we need to do now is to recognize what we have, and the more people come to our country from outside, the faster our people will realize it. I believe the young Japanese who have left their country will come back someday and rediscover good things about Japan. In recent years, the Japanese Tourism Commission has been trying to attract foreign travelers. But good results cannot be achieved unless each hotel and each local tourism group make efforts to attract foreign travelers. Rather than just listening to proposals and plans, we really need to do something to make this work. We need to take initiatives to make it happen, in all places in our country. We provide marketing solutions to accommodation in Japan to help them promote in oversea market and increase their occupancy rates. We also offer services to improve their hospitality to non-Japanese travelers with our effective solutions. 3. 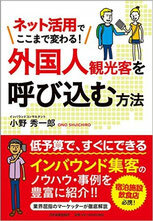 Express Advertising on major Japan travel information web sites. As of December 2008, the number of our client accommodations reached 200 Japanwide. Currently, we are working with the following business partners to provide internet marketing solutions. -- A JTB company, the largest travel agency in Japan. Shuichiro Ono was born in 1974, in Osaka, Japan. 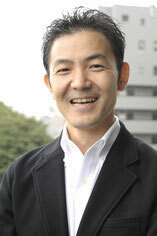 He received a bachelor’s degree in economics from Keio University in 1996. Following his graduation, he worked as a loan and public relations officer at Fuji Bank, a predecessor of Mizuho Bank. Later, he went to Australia to complete an internship program in IT services, and on his return, he worked as a system administrator at the Tokyo office of Phoenix Technologies. In 2000, he went to the United States to attend a graduate program. In 2002, following the completion of an exchange program at Manchester Business School in UK, he received a Master's degree in Business Administration from Case Western Reserve University, Ohio, US. The same year, he returned to Japan and began working as a CEO Assistant and Chief Personnel Officer at Coocom, one of the leading online travel service providers in Japan. In the following year, he was appointed to launch the English version of the company's Web site 'Club Tocoo'. He was in charge of Web marketing, online reservation services, member support and Web site promoting. During two years, he handled over 4,500 cases of online reservations. When he left the company, the site had over 600 affiliated hotels and 20,000 registered members. Shortly afterwards, he launched his own company, Jissen! Inbound.